Countless businesses turn to poly bags when they need reliable marketing for their brands at competitive costs. Plastic bag unlock substantial marketing potential for business seeking to increase consumer awareness around the brand that they have built. Buying plastic bags wholesale can lead to the same results as smaller orders of plastic bags, but at a much lower cost. Buying wholesale offers a range of benefits, but none them resonate with business as much as saving those hard-earned dollars. Wholesale purchases work on the economic principle of “the more you buy, the more you save.” That means that with every extra dollar that you spend, each dollar will go further in purchasing products to work for your company. The larger initial purchase may seem too steep when buying poly bags wholesale, but that initial investment makes a lot more sense when you look at the financials from a larger perspective. If the supply of wholesale plastic bags needs to last a specific length of time, and you have calculated how many bags your company will use in a month, then the financial benefit of buying all the bags at once at a lower price is easy to understand. Even if you are contacting a poly bag seller with the intention of placing a small order, it still makes sense to inquire about the seller’s other offerings. Most times, wholesalers are more than happy to discuss offering your business a discount if they are willing to place a larger order. When looking for a way to drive awareness about your brand, large quantities of custom poly bags are the way to go. These plastic bags are highly customizable, and many businesses offer colored plastic bags wholesale. This is a great option for businesses that are looking to standout from their competition. Buying colored plastic bags wholesale will catch potential customer’s eyes and lead their attention to your company’s logo. 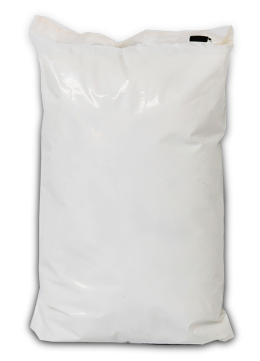 An additional benefit of buying poly bags wholesale is establishing a strong relationship with the wholesaler. Most businesses offer preferential treatment to larger clients, because their business is more valuable to the company. After establishing a relationship as a high-volume buyer, then additional discounts may become available to your company over time. That could make buying plastic bags wholesale an even more affordable option. PolyPak Packaging is a comprehensive solution for polyethylene products. As a leading extruder, converter, and printer, Polypak excels at providing custom plastic envelopes, heavy duty bags, plastic agriculture film, and plastic packaging. Find out more about how buying plastic bags wholesale save your business money at polypak.com.